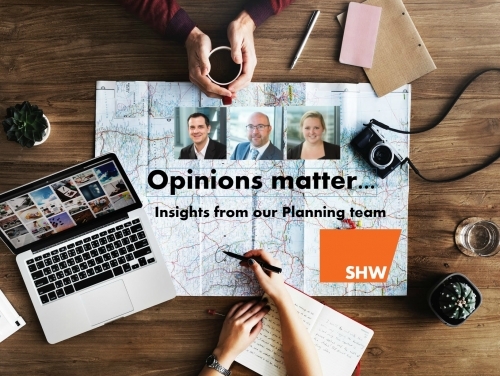 SHW Planning Opinions Matter: Tightening the Green Belt? 12th October marked the end of a turbulent time for planning at East Hertfordshire District Council. On 11th September the Secretary of State (SoS) issued a temporary direction preventing the Council from adopting their Local Plan which was due to take place that evening. This was to allow the SoS to consider whether or not to further intervene, following requests which “raise a number of issues including the proposed release of land within the Green Belt”. For the month that the temporary direction was in place the Local Plan had no effect (i.e. it was not a material consideration), and so there must have been some real deliberations by the Council as to how to determine planning applications during this period, especially as the five-year land supply took account of sites in identified in the emerging plan. The Local Plan proposes the release of approximately 6% of the Borough’s Green Belt to provide for 43% of the housing land supply. The letter from the SoS on 11th October lifted the direction, so allowing for its adoption. The SoS was complimentary to the Planning Inspector that had examined the Local Plan highlighting the “rigorous process of balancing the importance of the Green Belt and the impact of development against the benefits” and that she had “considered that there was an acute need for housing in the area and that each of the proposed sites was the most sustainable in contributing to meeting the needs of the area”. The Council subsequently adopted the Local Plan on 23rd October. However, this whole affair does raise one question, and that is how the SoS has interpreted the new National Planning Policy Framework (NPPF). Paragraph 214 advises that “The policies in the previous Framework will apply for the purposes of examining plans, where those plans are submitted on or before 24 January 2019” (which this plan was). It is not clear whether the SoS has referred to the NPPF (2012) or the NPPF (2018), with the latter arguably having a higher test for releasing land from the Green Belt than its predecessor (paragraph 137). It appears that if it was the latter then potentially it should not have been. If it was the former then in a wider sense the Council now has a Local Plan which is inconsistent with the NPPF, and this is a scenario which will apply to many other plans. The overriding view has to be that paragraph 214 of the NPPF (2018) could have implications for years to come. Despite the continued importance that the SoS places on the Green Belt, this also shows that it is possible to remove significant areas of Green Belt land where the evidence is rigorous and where the need for housing is acute. Other boroughs should take note, as the need for housing will be just as acute across most of the South East.